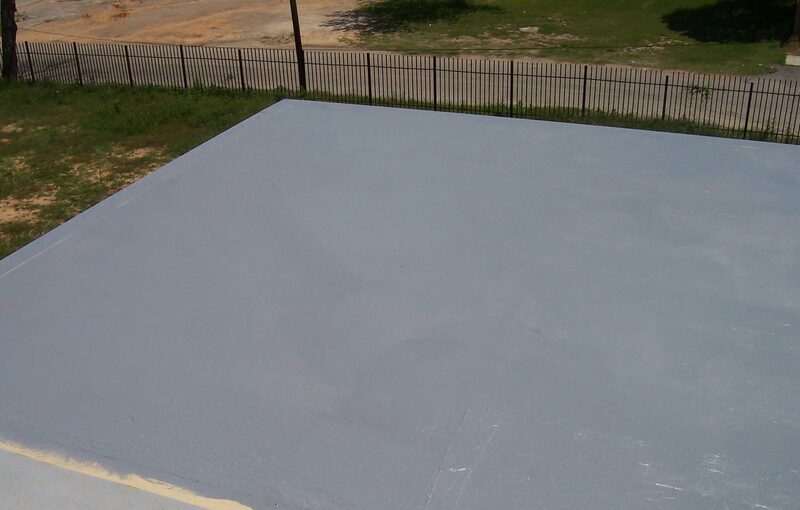 Austin Roof Coating To Extend Flat Roof Life & Better Energy Efficiency. The most popular roof coatings are white and give great energy savings to your building or home. 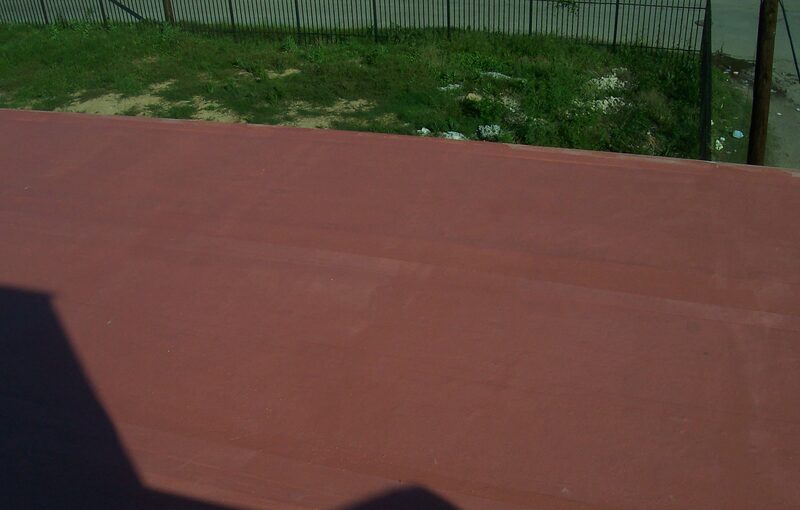 Roof coatings are used for new, stand-alone flat roofs and to extend the life of an existing flat roof, but not intended to “cover up” and fix existing problems of the roof structure. Covering up problems can also hide rotted wood, mold, and trapped moisture. When deciding to do a roof coating, make sure you are being proactive and not hiding any problems to save money. 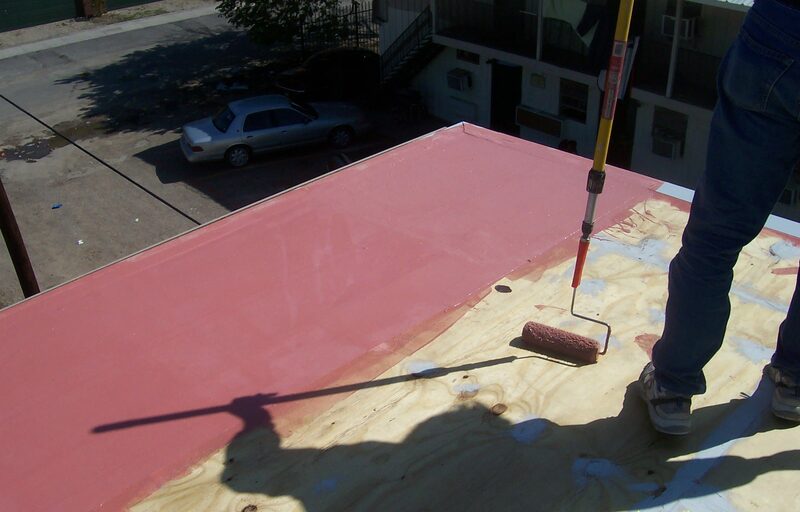 Roof coatings chemical makeup can be epoxy, silicone, acrylic, styrene butadiene, polyurethane, and poly urea. The acrylics are typically have the highest permeability (more porous) but are not good for ponding water. You can find an acrylic based coating most anywhere. 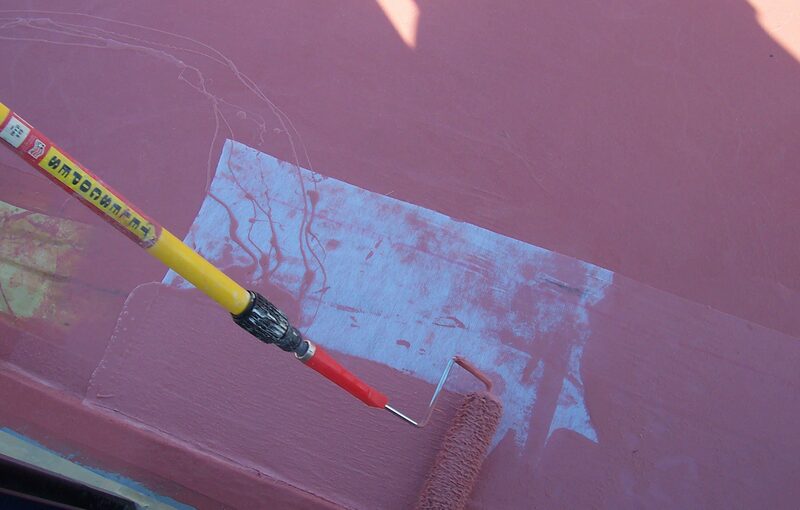 The epoxies, polyurethane, silicone, styrene butadiene, and poly urea coatings tend to have the least permeability and hold up to ponding water best as long as the coating is applied properly and in accordance to manufacturer recommendations. Typically a non UV resistant flexible base coat and a more rigid UV resistant topcoat are typical systems. Some systems have the same base and topcoat product. 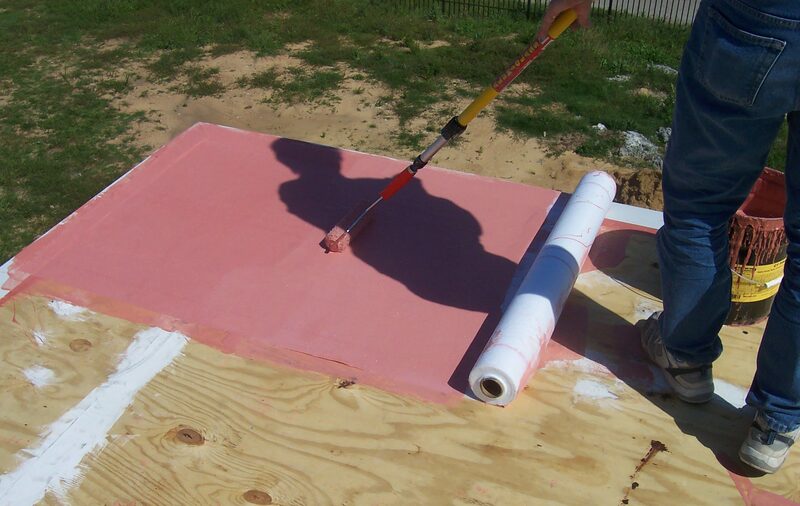 To prevent coating movement and extend coating life, a polyester mat can applied between the base and topcoat to form a monolithic roof system. Each individual situation needs to be assessed to determine the most cost effective application. 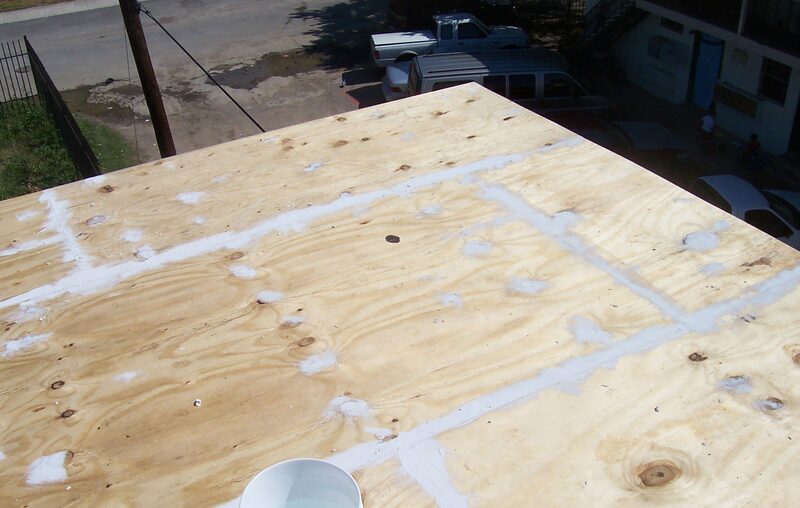 If a roof has large low spots, roof coatings systems generally do not have a cost effective way to level the low spots. Roof coatings can be used in a variety of ways to extend the life of your roof, save you money in the long run by lower energy costs, and can be installed every 5-10 years.